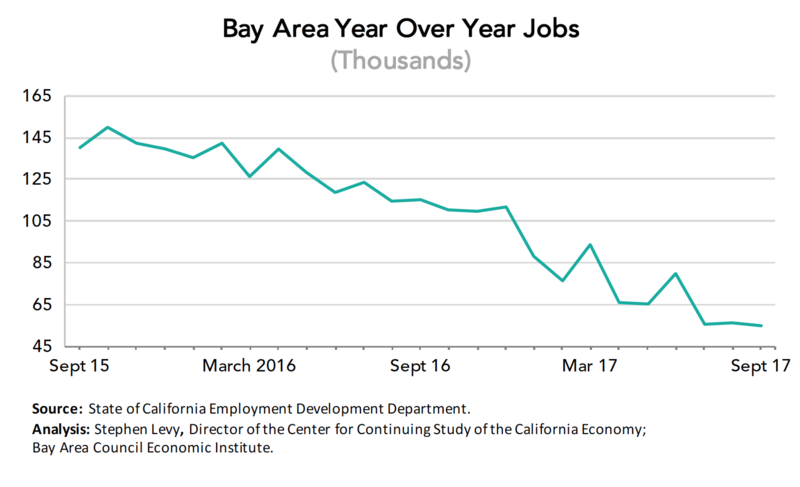 Most everyone has now read the stories about recent Bay Area job losses. It is true that job growth has slowed substantially over the past two years falling on a year over year basis by nearly two-thirds. 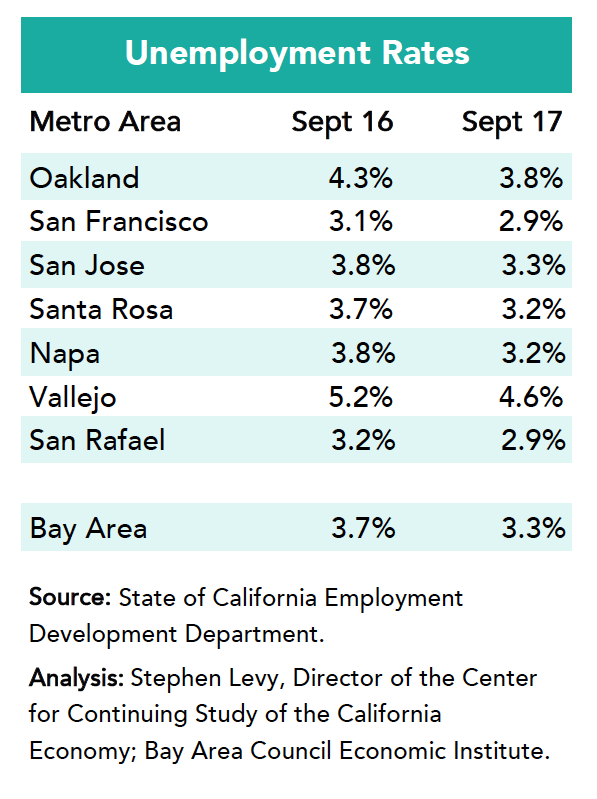 The Bay Area posted a 1.4% job growth rate during the past 12 months and lagged the state job growth rate for the second month in a row. 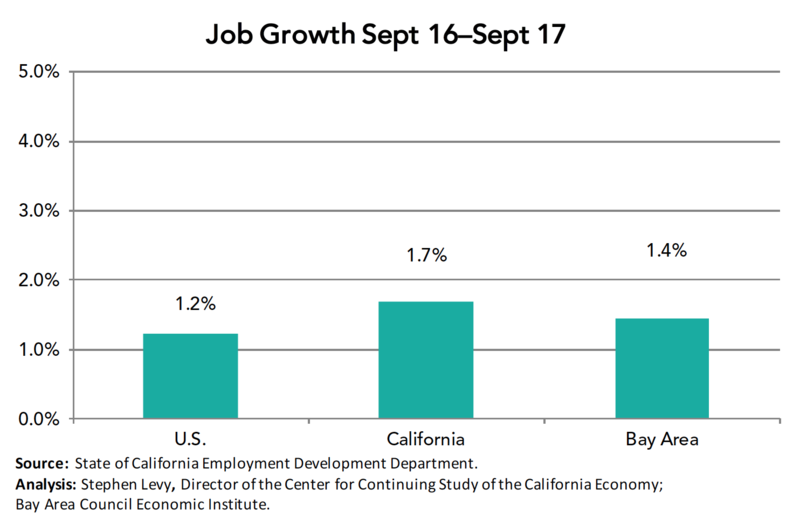 The U.S. growth rate was affected last month by hurricane-related job losses. 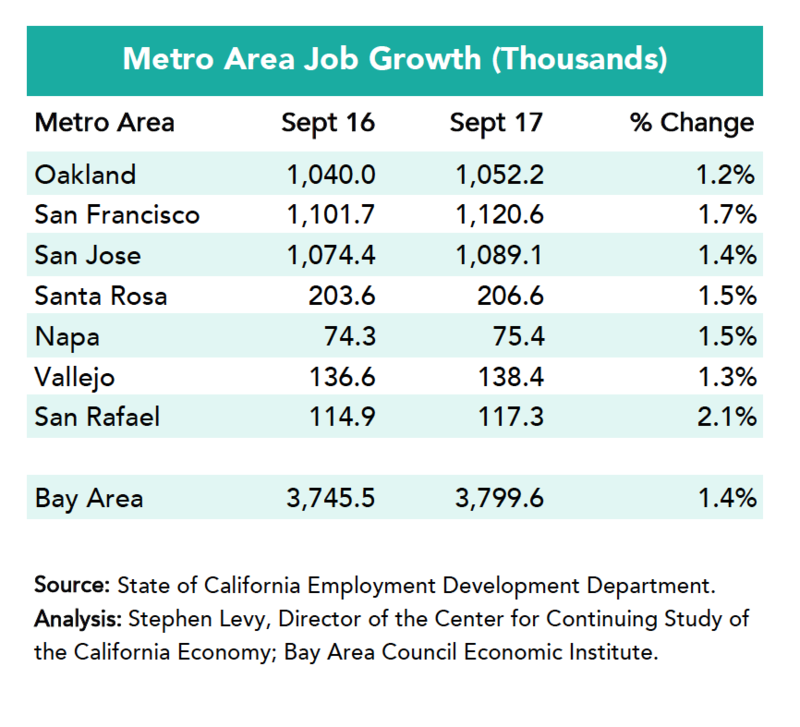 Job growth is slowing throughout the region. Year over year job growth reached a low of 55,100 in September July well below the 100,000-150,000 levels of recent years. At the same time, the September data showed positive trends for labor force growth and unemployment. Unemployment rates are still falling even though rates are already low. The regional unemployment rate of 3.3% in September is the lowest since the dot.com boom. The number of unemployed residents fell from 159,500 a year ago to 145,000 last month. Labor force growth picked up last month and the region has added 45,000 workers (+1.1%) over the past 12 months. There are many reasons why job growth may have slowed so much. One is difficulty for workers to find housing. But there have also been a slew of layoffs resulting from consolidations. And retirements are surging as boomers are growing older. There is more positive news with regard to expanding our housing supply. 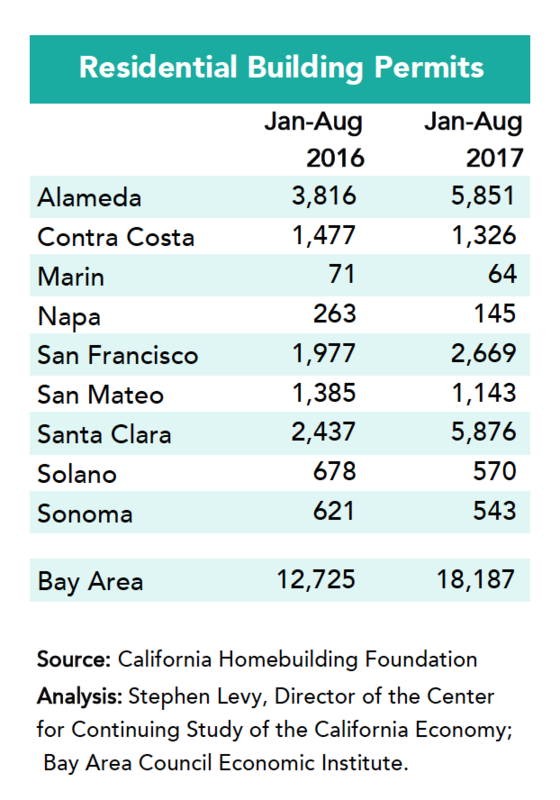 Housing permits are up substantially for the first eight months of the year but more are needed. Mountain View is moving ahead with housing at North Bayshore. San Jose has bold housing proposals that coincide with the substantial Google expansions being planned. NASA is adding housing at Moffett Field. More housing is being proposed around the new BART stations and San Francisco and Oakland are moving ahead to permit more housing. The next needed steps involve lowering the cost of building new housing, changing zoning to allow more and less expensive housing to be built and, hopefully, state funding to offset some costs of housing so that cities get the funds but some of the fees and infrastructure costs do not have to be added to the cost and price/rental rate of the new housing.